Overnight, light winds brought a steady stream of competitors up the Derwent River to the finish line, filling the Rolex Sydney Hobart race village in time for the New Year’s Eve celebration. All eyes were on Quikpoint Azzurro, the dark horse and smallest boat in the fleet, and for most of Wednesday afternoon Shane Kearn’s Sparkman & Stephens 34 raced towards the finish on pace to potentially claim the overall win on handicap. The 34-footer needed to reach the finish line by 0443 AEDT Thursday. Paul Clitheroe, owner of TP52 Balance, was on tender hooks, checking the race tracker constantly to chart their progress. 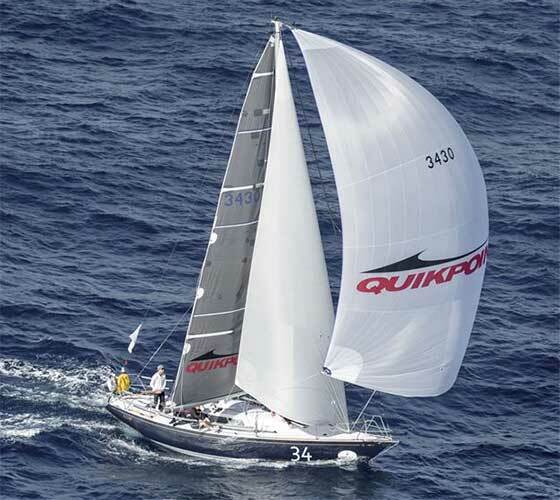 Commenting on the impressive achievements of his closest competitor, Clitheroe said that after such a long and challenging race it would be unfair for Quikpoint Azzurro to sit just metres from the finish line should the wind die. Yet at the mouth of the river, the hopes of Quikpoint Azzurro were dashed. Clitheroe realised that he and his team had clinched the title upon calculating that Quikpoint Azzurro had half an hour left to finish, yet several miles to cover. “We knew it was a great little boat, but we just couldn’t see them doing 22 nautical miles, with just four knots of wind, in half an hour,” so Clitheroe asked his crew to hop back on a plane to Hobart to help claim their prize. The 60-year-old financial consultant and TV presenter known as the ‘Money Man’, Paul Clitheroe has been advising Australians for decades on sound, long-term investment strategies. Not unlike his approach to yacht racing, where planning and thorough preparation are key. Yet when it comes to winning, he adds passion, teamwork and pure dedication to make the difference. 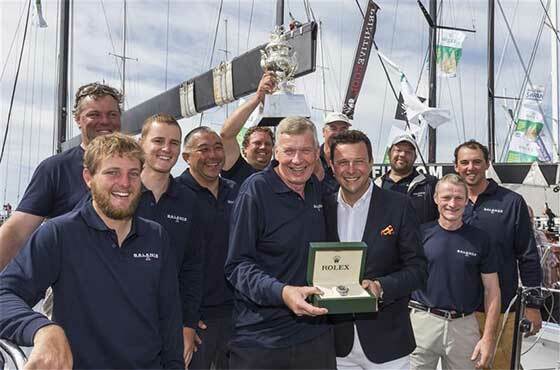 Paul Clitheroe and his crew were presented with the Tattersall’s Cup and engraved Rolex Yacht Master timepiece onboard Balance and following at a public prizegiving on Constitution Wharf. 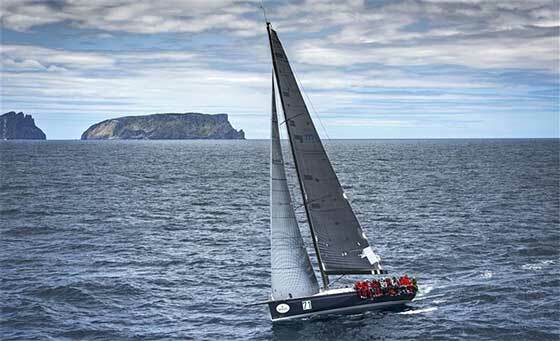 At time of press, 75 yachts have finished, 31 retired and two yachts are still racing but expected to arrive in time for the official Rolex Sydney Hobart Yacht Race prizegiving will take place Friday, 1 January 2016 at 1000 AEDT at the Grand Chancellor Hotel in Hobart.